2 1/2 x 6 3/4 x 8 in. 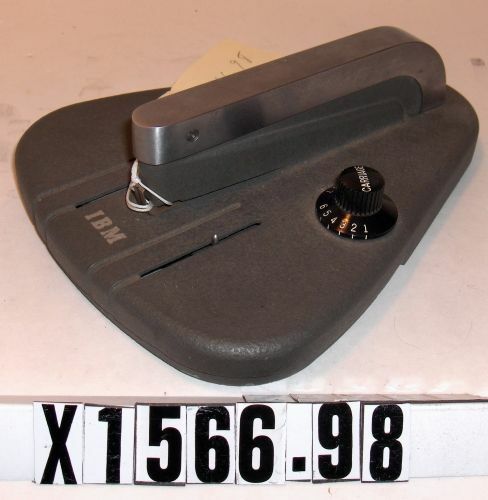 A hand-operated device used to enter information on IBM printer control tapes. 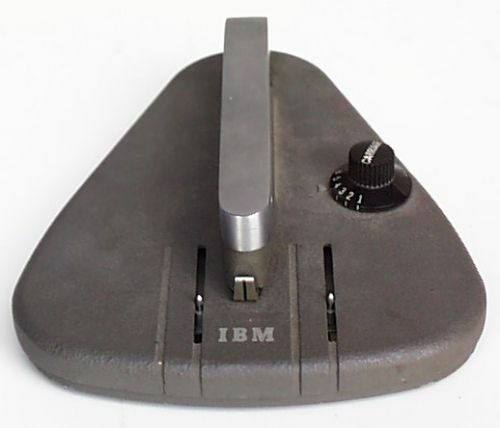 Such tapes ran on a separate paper tape reader inside IBM line printers, setting such printer control variables as tab, indent, and top-of-form, for example, and allowing for such preset formatting commands to be loaded as desired, simply by changing the tape.